I started Bitesize UX a little less than a year ago, and since then it’s been amazing to see all the projects our members have created. I’m really grateful for all of you who gave it a shot, and tried a challenge. Today, I’m excited to show you the future of Bitesize UX, and some of the changes we’ve made to help more people learn and practice their UX design skills. Since I started Bitesize UX, I have had a few major requests from members. For those of you who reached out to me with feedback of any kind – THANK YOU. Like any good UX designer, I used your requests to make Bitesize UX better. Instead of just posting challenges, the new Bitesize UX will contain video courses that actually show you how to complete them. Courses are step-by-step, and include loads of resources, checkpoints, professional feedback, certificates, and a community of your fellow students. You will gain more UX skills and practice than ever before, while still working on great mini-projects. There’s no monthly subscription – so you only pay for the courses you actually want to take. 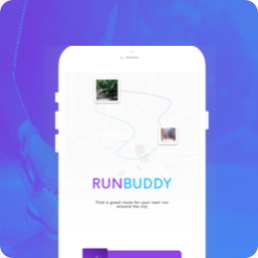 Our next course for the RunBuddy UX Challenge is right here – check it out! We’ll work to re-design a feature for our running app, RunBuddy. Along the way, we’ll learn tons of practical UX design techniques. As we move to the new Bitesize UX, I want to make sure that the transition goes as smoothly as possible for all current members. Where did the old site go? It’s right here – you can use your usual login to access your portfolio, and all past challenges. Everything here will be active until June 1st, 2019. While we will not be posting anymore challenges here, you will have full access to the existing challenges, your portfolio, and everything else on the site. Will I be charged my normal subscription fee? Nope. As of December 1st, 2018, you will no longer be charged your monthly subscription fee. You will still have access to the site, challenges, and your portfolio until June 1, 2019. Will my current account info work on the new site? No – you will have to create a new username and password. There is no subscription fee, so you will only be charged if you decide to enroll in a course. Will my portfolio link still work? Yes – until June 1st, 2019, your portfolio links will work. This means that if you sent out a link to a portfolio or challenge submission, users will still be able to click on them to see your work. How do I access my portfolio after June 1st? If you want access to your portfolio, you can contact [email protected] We can help you download, or export your portfolio so you do not lose any work, and so you can include your portfolio pieces on an external portfolio site.